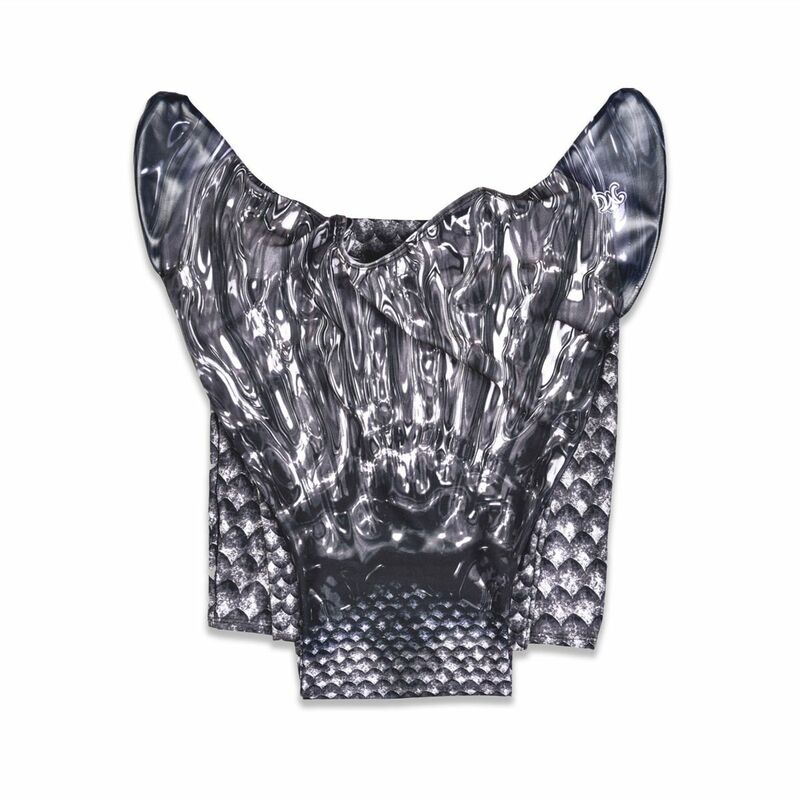 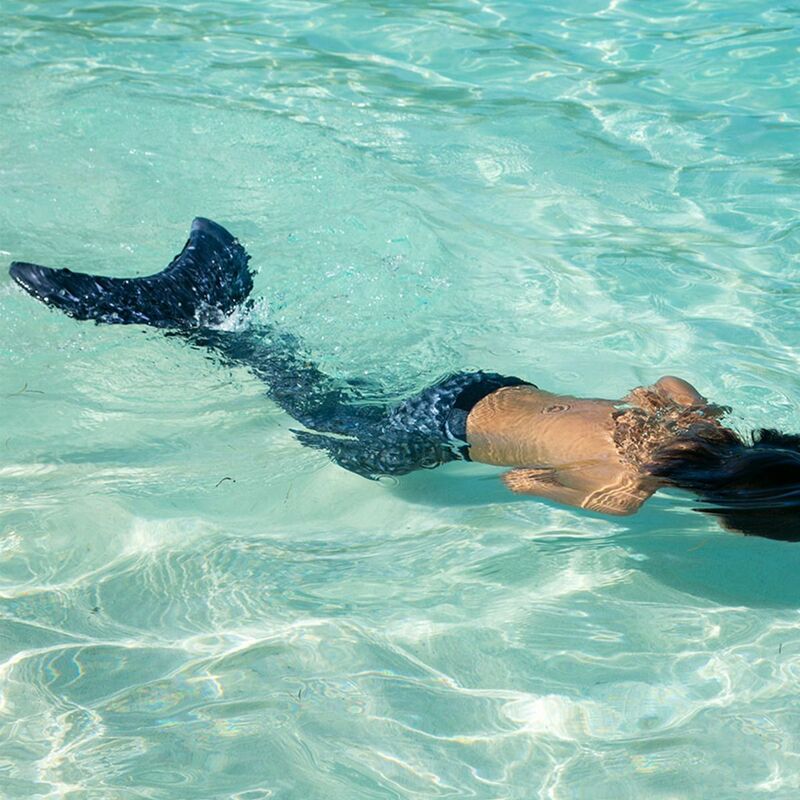 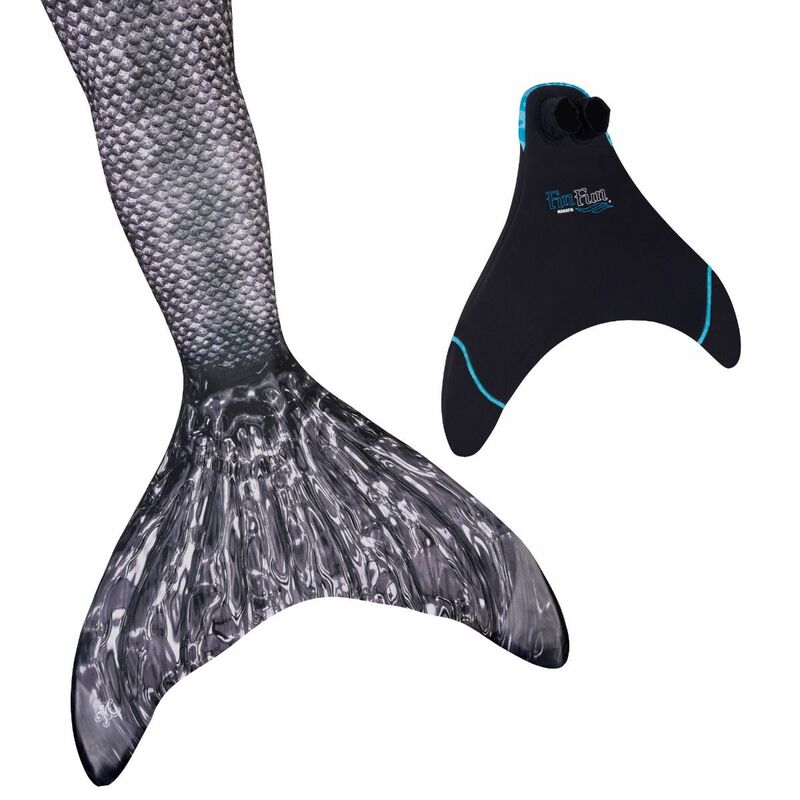 Transform into a mythical sea creature in Fin Fun's Barracuda Black Mermaid/Merman Tail! 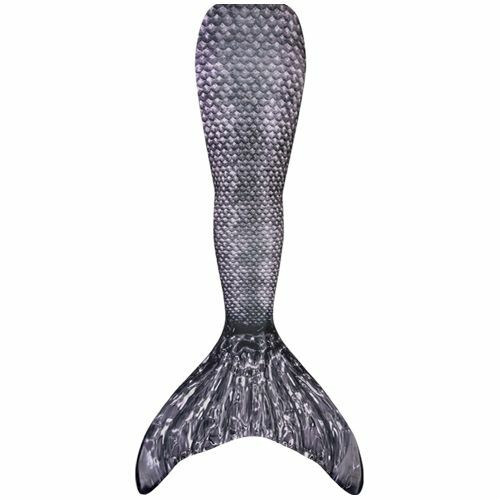 This onyx and slate swimmable mermaid tail is bold and hyper-realistic in a unique scale pattern designed exclusively for this style! 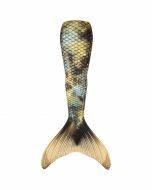 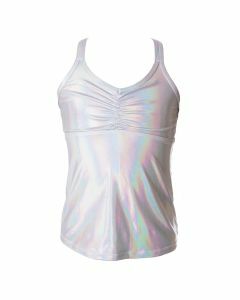 Speckled shades of charcoal and black combine in this sleek design, perfect for any mermaid or merman who wants to prowl the waters in a dark-scaled tail. 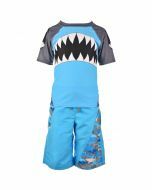 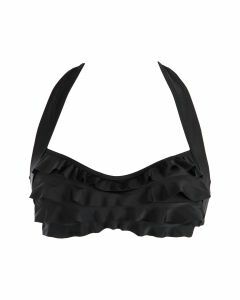 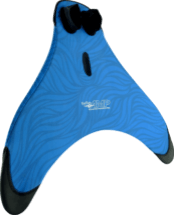 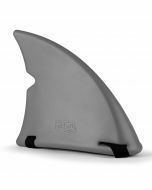 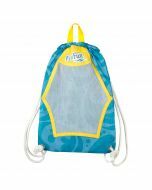 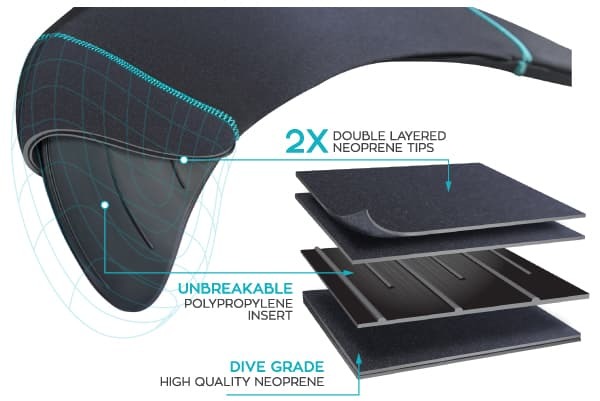 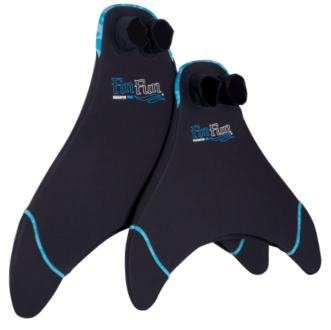 Fin Fun’s Barracuda Black swimmable mermaid/merman tail is made from soft, stretchy swimsuit material that's both durable and fade-resistant. 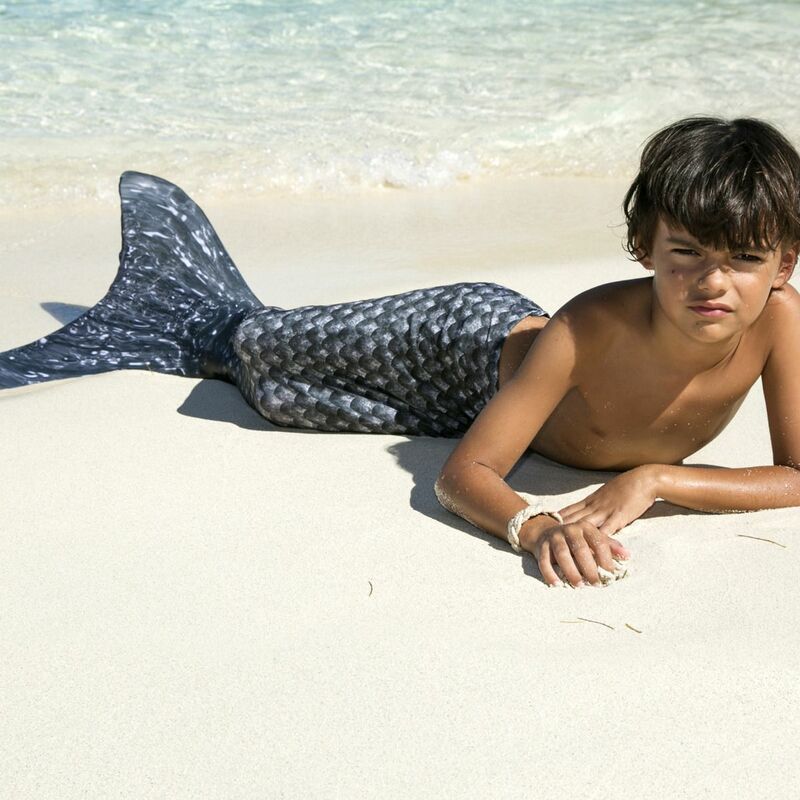 This tail was inspired by Obsidian (Sid), the cool and fierce merman featured in the Mermaiden Tales, available to read for FREE on www.finfriends.com. 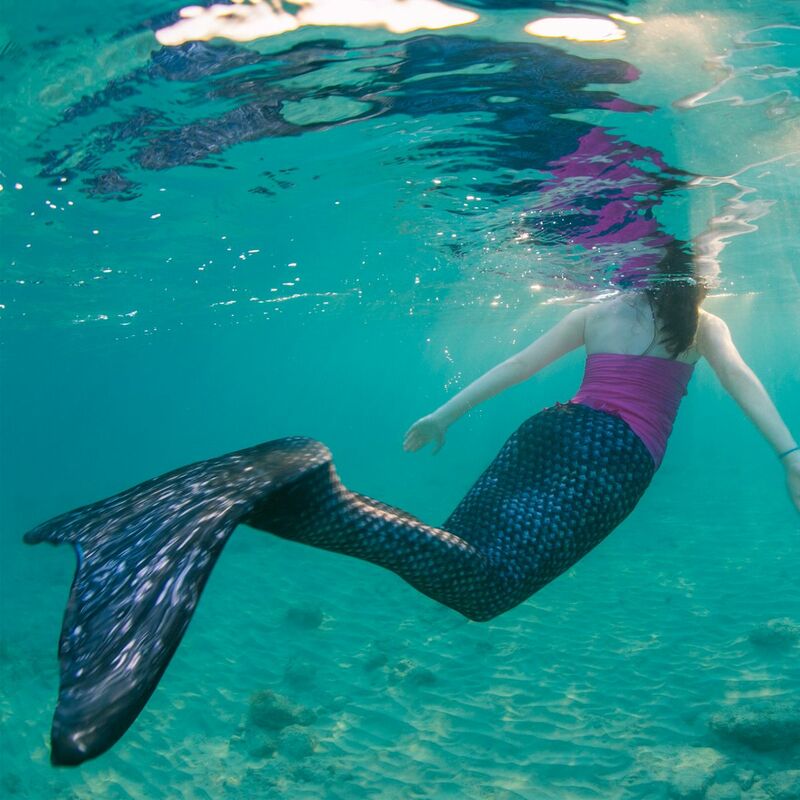 Check out the site to meet Sid and the Mermaidens® as they explore the ocean floor seeking adventure with their FinFriends.